Today was one of those crazy hot summer days where we had nowhere to go and nothing to do. We started with a morning bike ride to the playground to play before it got too hot, cooled off with popsicles at lunch, then spent the afternoon in the backyard with the sprinkler on full blast. In between though, I needed to figure out dinner and try not to heat up my kitchen in the process. I turned to one of my favorite go to meals for hot days - with just a few pantry and freezer essentials and my trusty crock pot, I had a super simple, delicious meal on the table with almost no effort. And my kitchen stayed cool too! This is truly one of the easiest meals to make. It's so yummy, perfect if you want something that's not too heavy but a little spicy. Here's what you need. 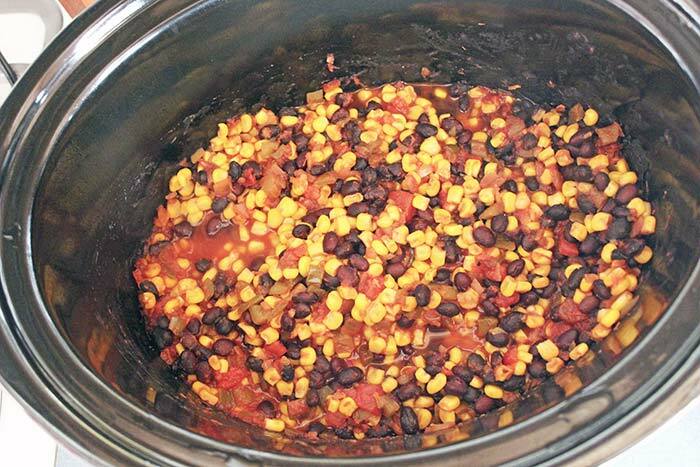 Dump the frozen corn and jar of salsa into your crock pot. Rinse and drain the black beans and add them as well. Season with Adobo to taste (approx 1-2 teaspoons). Stir together and cook on LOW heat for 3-4 hours. I do not recommend putting the shrimp in the crock pot - it cooks so quickly that there's no need to and the texture does not stand up to simmering in the crock pot. You'll just need a few minutes before dinner to cook the shrimp separately. In a large skillet, melt 1 tablespoon of butter. 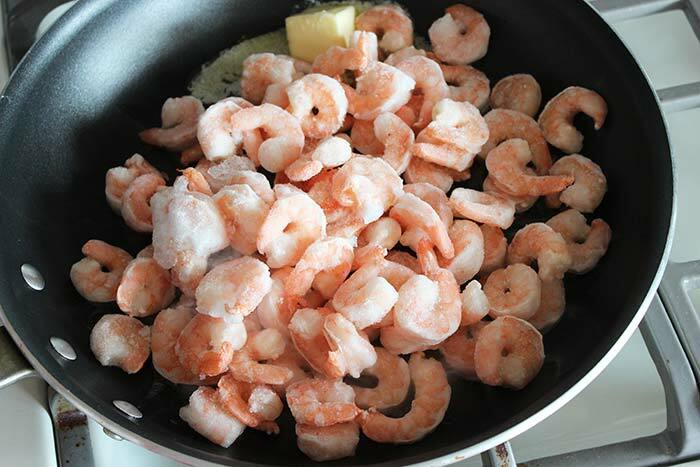 Add your frozen shrimp and saute until cooked through (only about 3 minutes if it is precooked. If you are using raw shrimp, cook until it is thoroughly pink and opaque). Sprinkle with more Adobo and Old Bay to taste. (I love Old Bay but if it's not your style you can leave it out). Add the cooked shrimp to the bean mixture and serve warm. 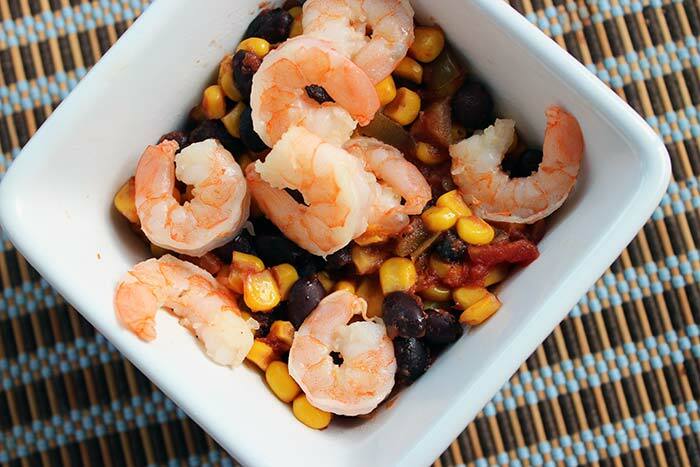 So easy, and it makes a healthy, light meal perfect for summer evenings! Want more super easy crock pot dinners? Check out these Crock Pot Chicken Meals with only 4 ingredients each!